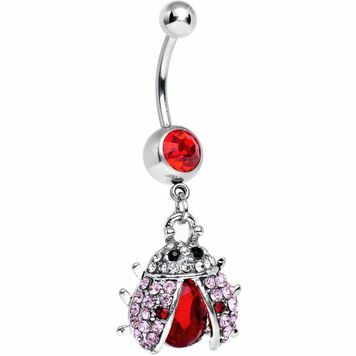 Beautifully detailed belly ring with multiple CZ jewels in red and pink . Material : Surgical Steel. Shaft measures 14ga with a length of 3/8 - 10 mm.